Originally from the slums on the outskirts of Nairobi, Semy has been moved from one relative to the next in search of a stable home, since her alcoholic mother has been on probation for as long as she can remember. Her older sister was married at a very young age, and has since taken on the responsibility of caring for Semy and making sure that she stays in school, since she is very smart. 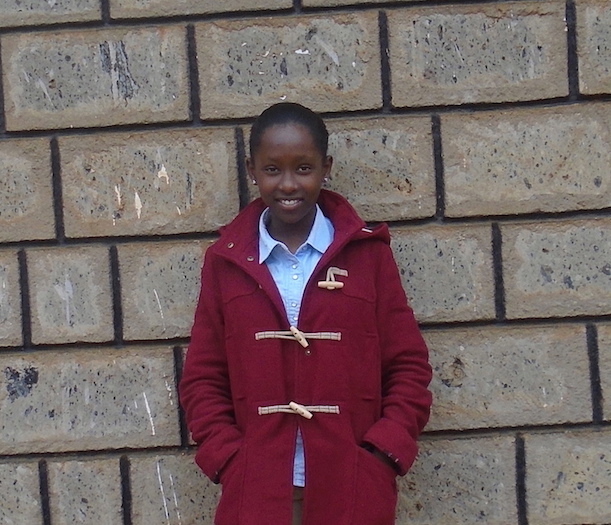 In her school, Semy has been made welfare captain and was also elected Head Girl this year, after receiving an award for outstanding academic performance. Her test scores have always been above 350 marks, and she made an extremely impressive average of 387/500 points this year. She has been named model student of the year at her school, and she does not let her home situation get in the way of her happiness. Semy is well aware of the value of hard work. She does not want to go the same routes as either her sister or her mother, and therefore stays focused on school and tries very hard in all fields she engages in. Semy needs financial support to finish her secondary education, and proceed to university eventually. She needs help with paying for school fees, as well as purchasing school supplies and personal utilities. She also needs someone to encourage her throughout her school years. Help Semy attain her dreams by sponsoring her today!